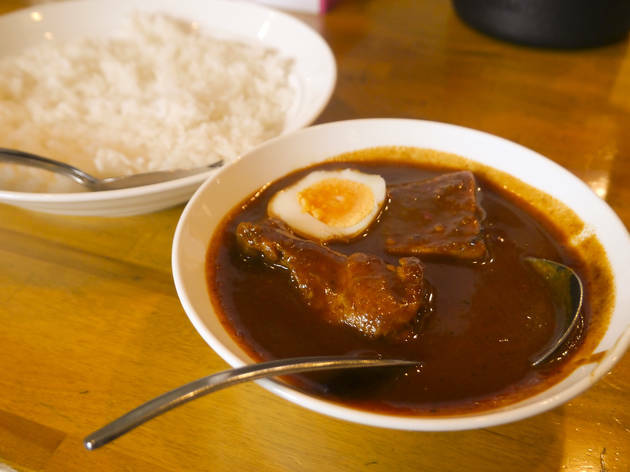 Well-known in the neighbourhood, this curry shop deals in Thai and Indian versions of the ubiquitous stew, serving up creations like coconut-based red curry and traditional chicken curry. 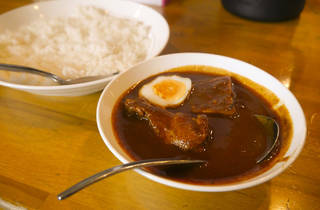 The menu also includes weekly specials, with the 'Indian-style spicy chicken curry' (¥750) a particular highlight. This dish is only available during the fourth week of every month, and is surprisingly addictive despite its burst of fiery spiciness. Also, small eaters will be happy to hear that most portions can be ordered in mini-sizes.